Home » Financial Education » PayPal Here Review: How Does It Compare? This article was last updated Oct 19, 2018, but some terms and conditions may have changed or are no longer available. For the most accurate and up to date information please consult the terms and conditions found on the issuer website. As a business owner, you have numerous options to choose from when it comes to processing customer transactions. It can be overwhelming to decide which option is best for your business since there is no perfect solution. An option you have is the mobile payments processor PayPal Here, which can be used to streamline customer transactions and manage payments. PayPal Here is similar to other processors on the market, such as the popular Square. With either of these programs, you can turn your smartphone or tablet into a credit card processor just by downloading an app and connecting a card reader. This is great for small businesses owners who choose not to accept cash or don’t have a need for registers. However, there are clear differences between the two services and depending on your needs, you may be better off with one over the other. In this review, we’ll discuss the features of PayPal Here, how you can use it to accept payments and how it compares with Square so you can decide which platform is best for your business needs. Before you settle on PayPal Here, you should see how it stacks up against one of the leading mobile payment processors, Square. You’ve most likely heard of Square and experienced using it when you pay at some businesses. Square is used by millions of businesses and helps them simplify daily transactions. Below, we compare the features of PayPal Here and Square to see which platform is superior. Application required? Yes No Square – You can simply buy the reader and begin using it. No application needed. $49 or $17/month for 3 months for contactless and chip reader Square – Their readers are cheaper than PayPal Here. 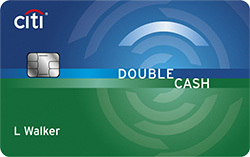 3.5% + $0.15 to key in cards PayPal Here – They charge .05% less per swipe than Square. Availability of funds once a sale processes Sales are available instantly in your PayPal account. If you want to transfer funds to your bank account, PayPal estimates it’ll take at least one business day. Note: With a reserve limit of $500 in a 7-day period, the difference in sales that are over $500 is subject to an automatic 30-day reserve where funds are held in your PayPal account to cover the high risk associated with these types of transactions. 1-2 business days in your linked bank account Square – While you can’t access funds instantly, you can receive them directly to your bank account and aren’t subject to the 30-day reserve PayPal Here has for certain sales. Security Data is encrypted Data is encrypted. Plus, Square doesn’t store card data on your device after a payment has been processed. Square – The service doesn’t store card data on your device. Square provides business owners with a simple, comprehensive mobile processing system that provides more perks compared with PayPal Here. The contactless and chip reader is cheaper than PayPal Here’s, and you can access funds more easily since there’s no “reserve” for transactions over $500 in a 7-day period. We especially like how you can swipe payments offline with Square — helpful for the times you have spotty Wi-Fi connection. Business owners who like using PayPal can see the most benefit from PayPal Here and the immediate access to funds through your PayPal account. Plus, you’ll save 0.05% per swipe compared with using one of Square’s readers. While it’s a small amount, ultimately you’re saving money. If you’re not a fan of PayPal and prefer to withdraw funds via your bank account, this isn’t the simplest option since you’ll need to transfer funds from your PayPal account to your linked bank account. You’d be better off using one of Square’s readers that deposits funds directly to your bank account. This also isn’t the best choice for businesses that bring in sales over $500 in a 7-day period while using the free mobile card reader, since the difference in funds over the $500 threshold are subject to an automatic 30-day reserve. A better option is to use Square’s free magstripe reader. PayPal Here is similar to many other card readers. You log into the PayPal Here app and plug in or connect your reader wirelessly. 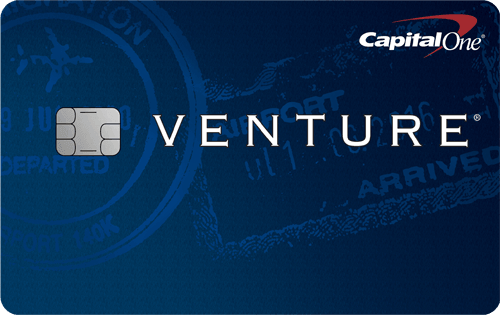 Then, you can begin swiping, tapping and inserting cards to fulfill transactions. After you accept payment, funds are instantly deposited into your PayPal account. PayPal Here also comes with a bunch of other handy business tools like the ability to run sales reports, track inventory, calculate sales tax, set suggested tip amounts, apply discounts to purchases and more. In the next sections, we’ll review the fees, supported devices, access to funds and customer service provided by a PayPal Here reader. Your funds are available instantly* in your PayPal account after the transaction is processed. The quickest way to access your funds is to use a PayPal Business Debit MasterCard® to withdraw funds at an ATM or to make purchases. If you want to transfer funds to your bank account, you won’t be able to access funds right away. PayPal estimates that it can take at least one business day for funds to be deposited into your bank account. Another option is to request a check, but it may incur a fee and that takes the most time — 1-2 weeks for U.S. customers and up to 6 weeks for customers outside the U.S.
*Note: Any amount that goes over the $500 sale threshold in a 7-day period made with the mobile card reader is subject to an automatic 30-day reserve where funds are held in your PayPal account to cover the high risk associated with these types of transactions. PayPal Here has several options for businesses to contact customer service when an issue or question arises. You can call, email, send a tweet to @AskPayPal, or search for and ask questions in the PayPal Community forum. PayPal Here has four mobile readers that you can choose from: Mobile Card Reader, Chip and Swipe Reader, Chip and Tap Reader, and Chip Card Reader. We list the cost and supported devices for each below. Availability of funds Instantly*, in your PayPal account. If you want to transfer funds to your bank account, PayPal estimates it’ll take at least one business day. Instantly, in your PayPal account. If you want to transfer funds to your bank account, PayPal estimates it’ll take at least one business day. Instantly, in your PayPal account. If you want to transfer funds to your bank account, PayPal estimates it’ll take at least one business day. Instantly, in your PayPal account. If you want to transfer funds to your bank account, PayPal estimates it’ll take at least one business day. *Sales over $500 in a 7-day period made with the mobile card reader are subject to an automatic 30-day reserve where funds over the $500 limit are held in your PayPal account to cover the high risk associated with these types of transactions. Note: You need to submit an application and be approved to receive a PayPal Here reader. You simply cannot buy a reader and begin using it.